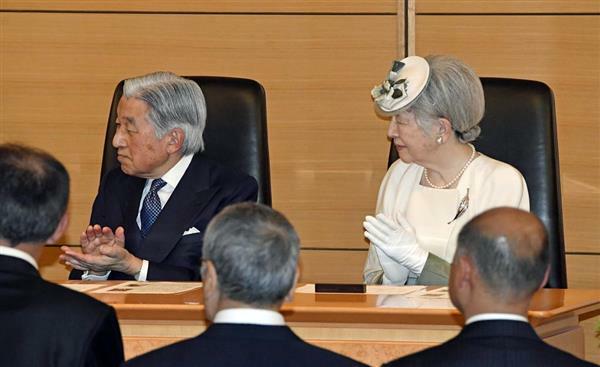 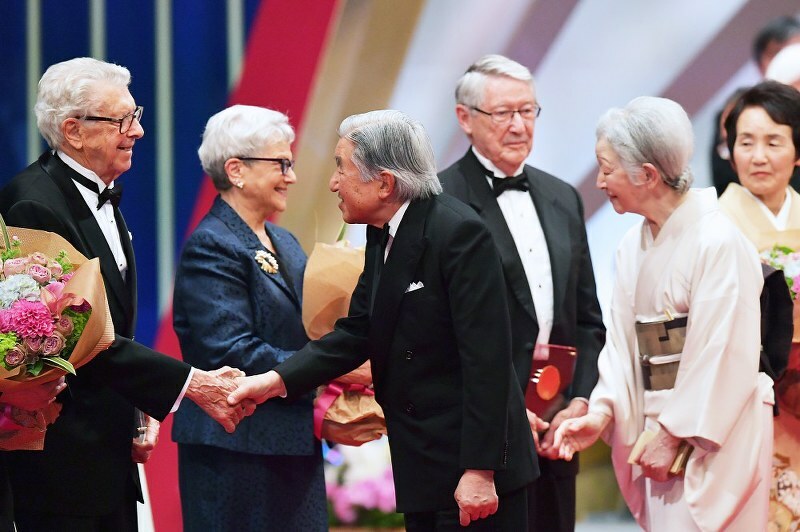 On 27th April, HM Emperor Akihito and HM Empress Michiko attended the 12th Award Ceremony of MIDORI Academic Prize and the reception took place in Tokyo. 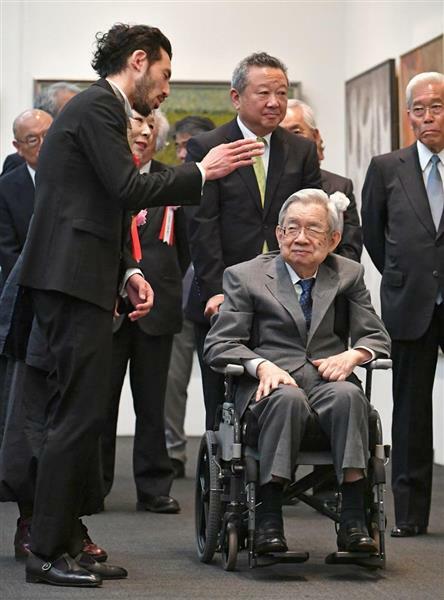 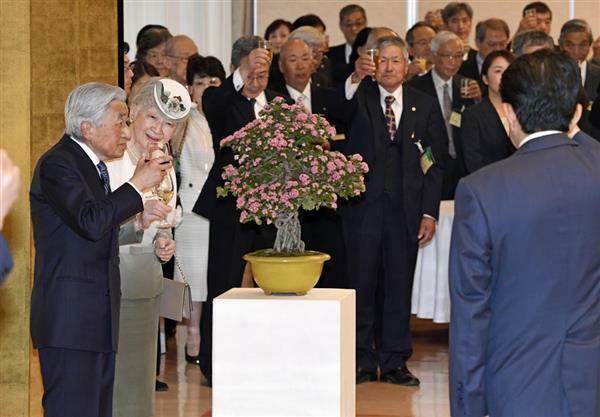 On 26th April, HIH Prince Masahito of Hitachi attended the 36th Award Ceremony of Ueno Royal Museum took place in Tokyo. 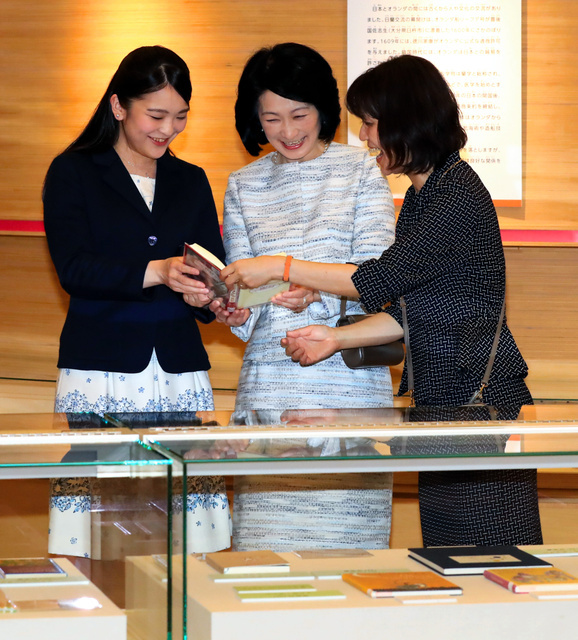 On 26th April, HIH Princess Kiko and HIH Princess Mako of Akishino visited the exhibition of Children’s Literature of Netherlands took place at International Library of Children’s Literature, National Diet Library in Tokyo. 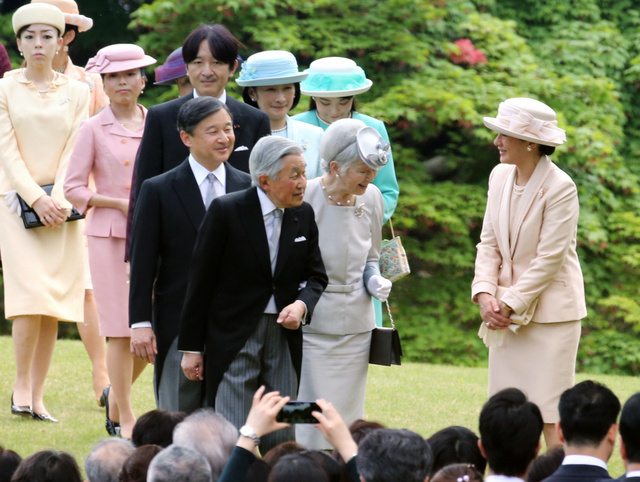 On 25th April, HM Emperor Akihito and HM Empress Michiko held Spring Imperial Garden Party at Akasaka Imperial Garden and about 2,500 people were invited. 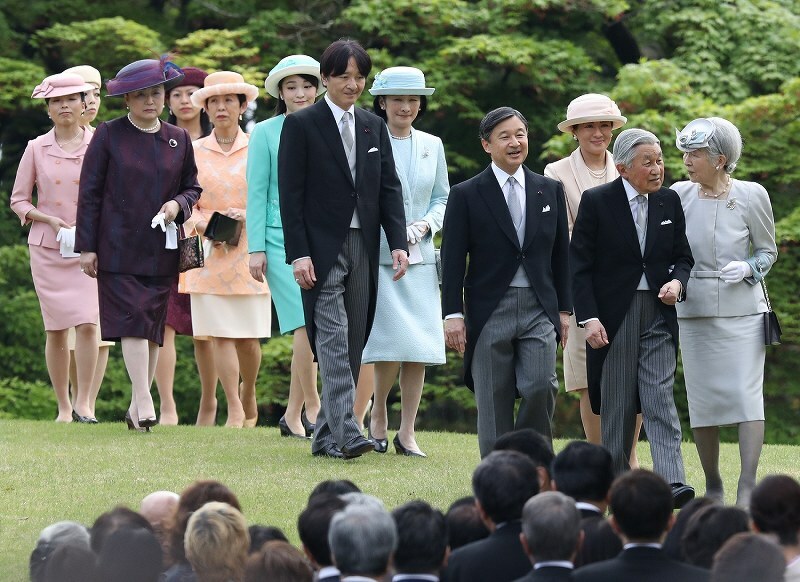 The other members of Imperial Family also attended the party. 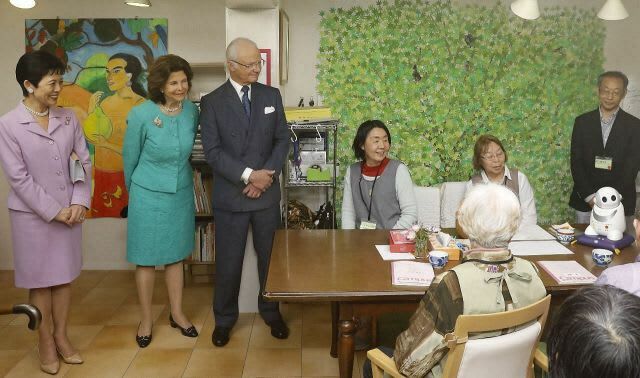 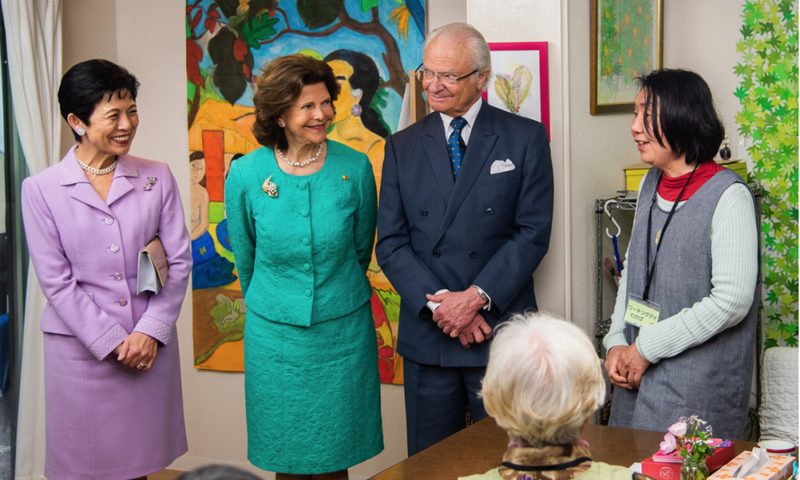 On 25th April, HIH Princess Hisako of Takamado visited the facility for elder people in Kanagawa Prefecture with HM the King Carl XVI Gustaf and HM the Queen Silvia of the Kingdom of Sweden. 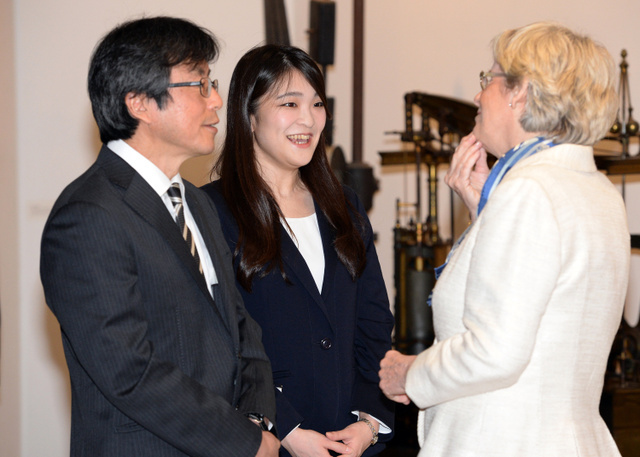 The “Living Lab for Active Ageing” project located in the town is in collaboration between Linnaeus University, Johanneberg Science Park and the University of Tokyo. 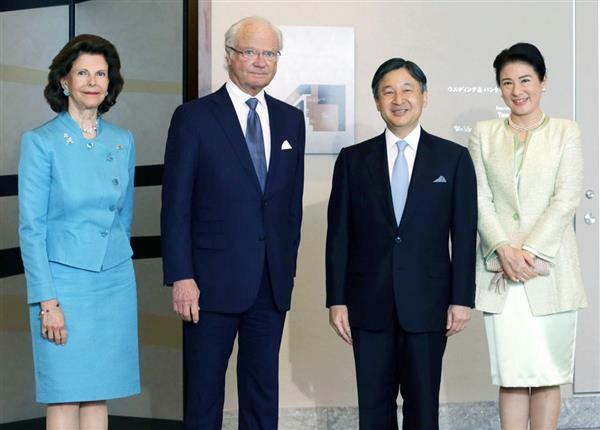 On 24th April, HIH Crown Prince Naruhito and HIH Crown Princess Masako had lunch with HM the King Carl XVI Gustaf and HM the Queen Silvia of the Kingdom of Sweden at Palace Hotel Tokyo. 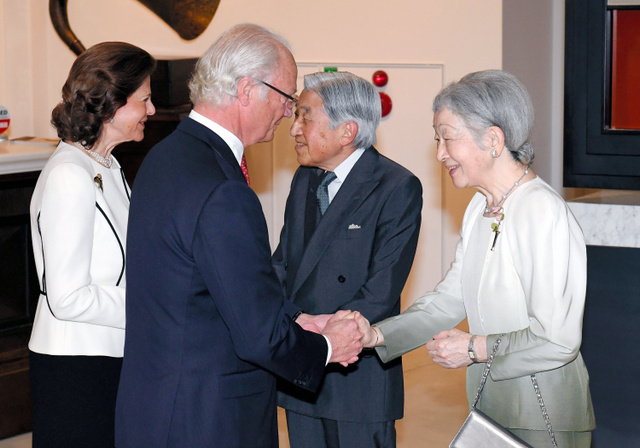 On 23rd April, HM Emperor Akihito and HM Empress Michiko visited the exhibition to commemorate the 150th anniversary of the diplomatic relations between Japan and the Kingdom of Sweden took place at INTERMEDIATHEQUE where HIH Princess Mako of Akishino works with HM the King Carl XVI Gustaf and HM the Queen Silvia of the Kingdom of Sweden. 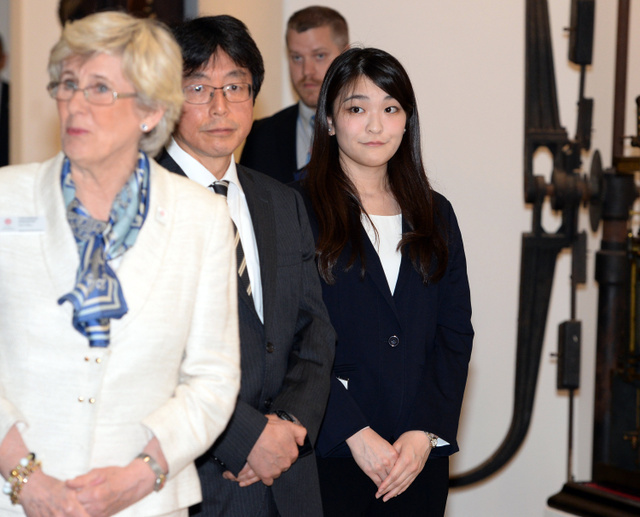 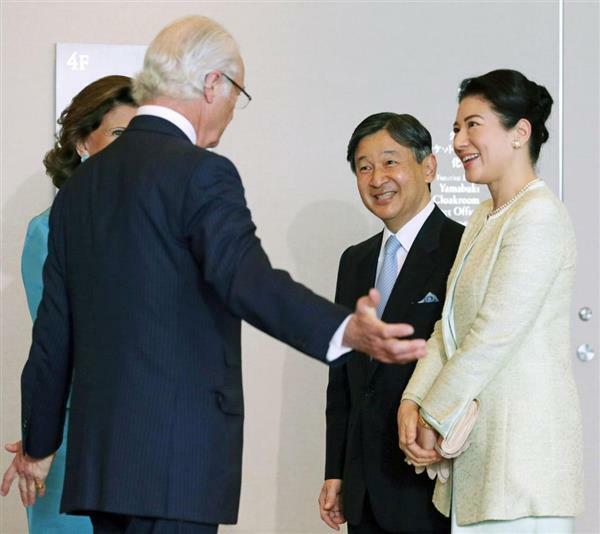 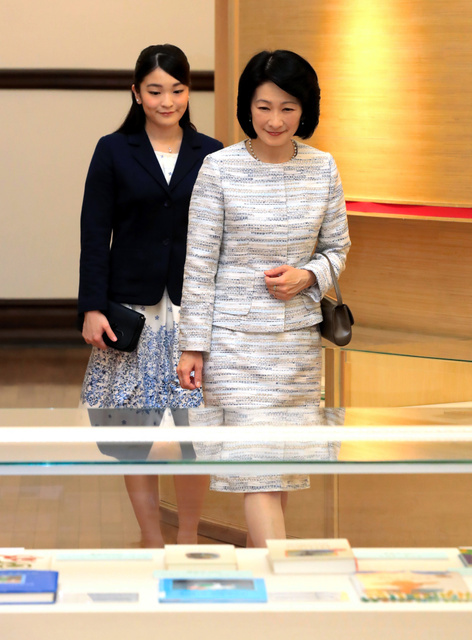 HIH Princess Mako welcomed Their Majesties at INTERMEDIATHEQUE. 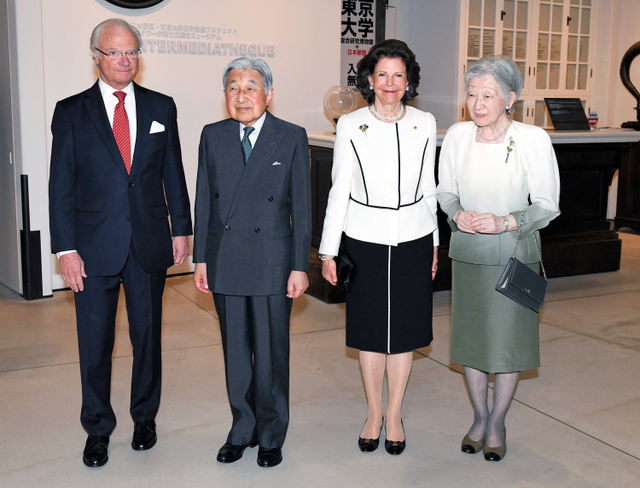 At evening, Their Majesties the Emperor and the Empress held the dinner for Their Majesties the King and the Queen at Imperial Residence. 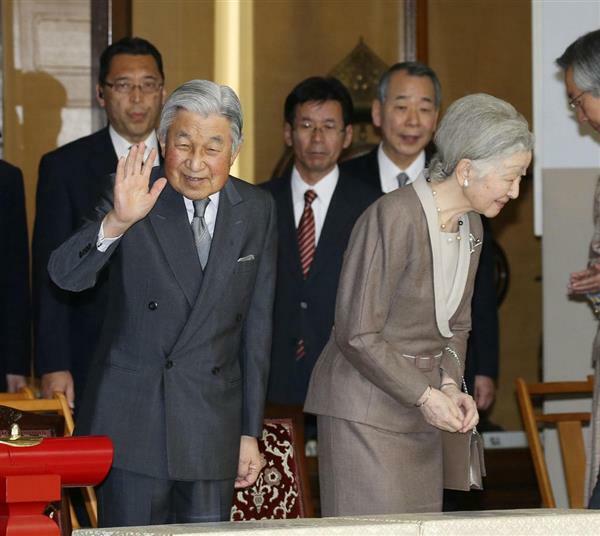 On 23rd April, HM Emperor Akihito and HM Empress Michiko visited the stable inside Imperial Palace to bid farewell to the horse which is to be sent to Ise Jingu Grand Shrine as a sacred horse. 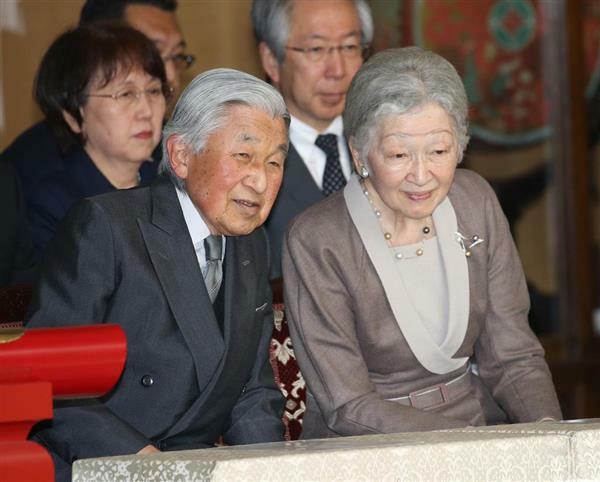 Emperor Akihito and Empress Michiko bade a fond farewell April 23 to a carriage horse that is being retired at age 17 to spend its final years at the Ise Jingu shrine in Ise, Mie Prefecture, serving gods. 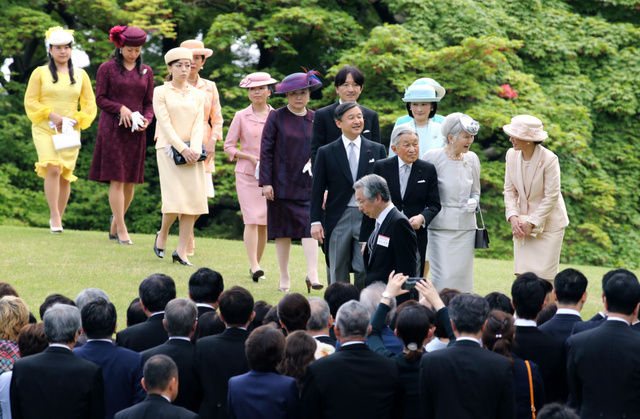 The couple paid a special visit to the stables at the Imperial Palace in central Tokyo to thank Kusashin-go for its loyal service. 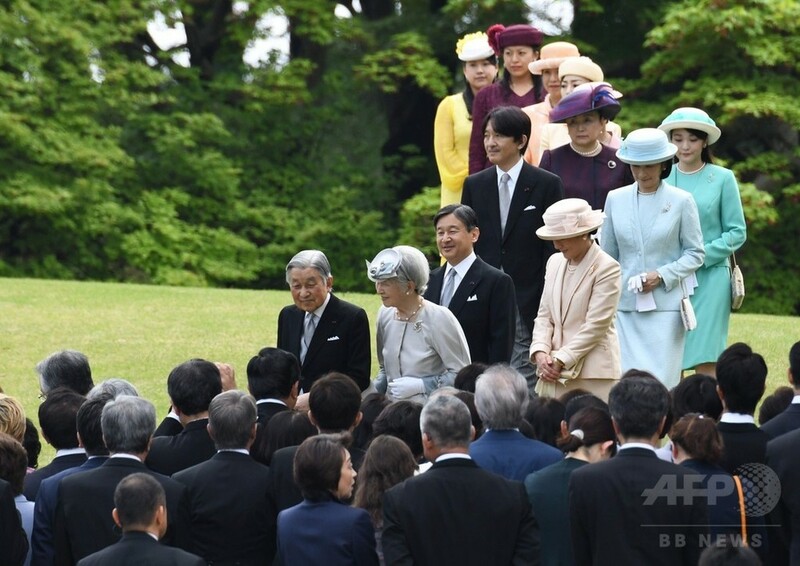 The horse was part of a team that hauled an ornate carriage used by foreign ambassadors when they visit the emperor for the Ceremony of Credentials upon taking up their posts, and for other official occasions. 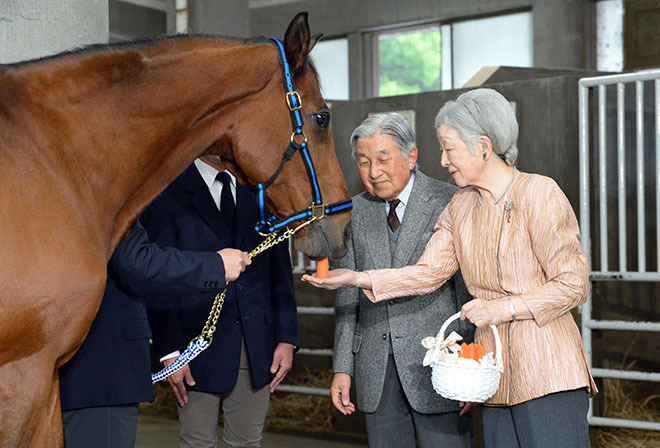 As a reward, they fed the horse lumps of sugar and carrots and stroked its mane. 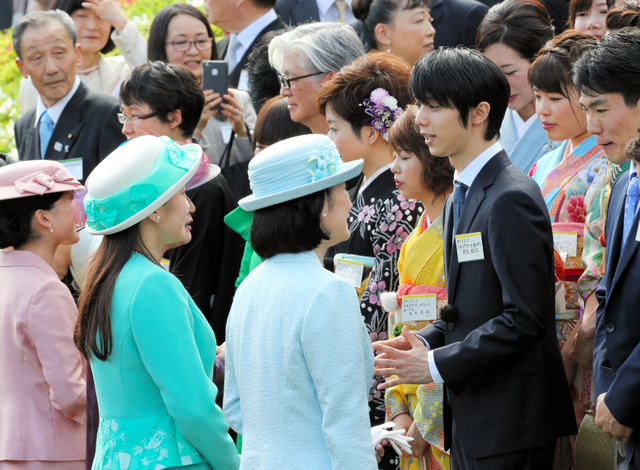 Michiko wished the horse “good luck” in its new surroundings. 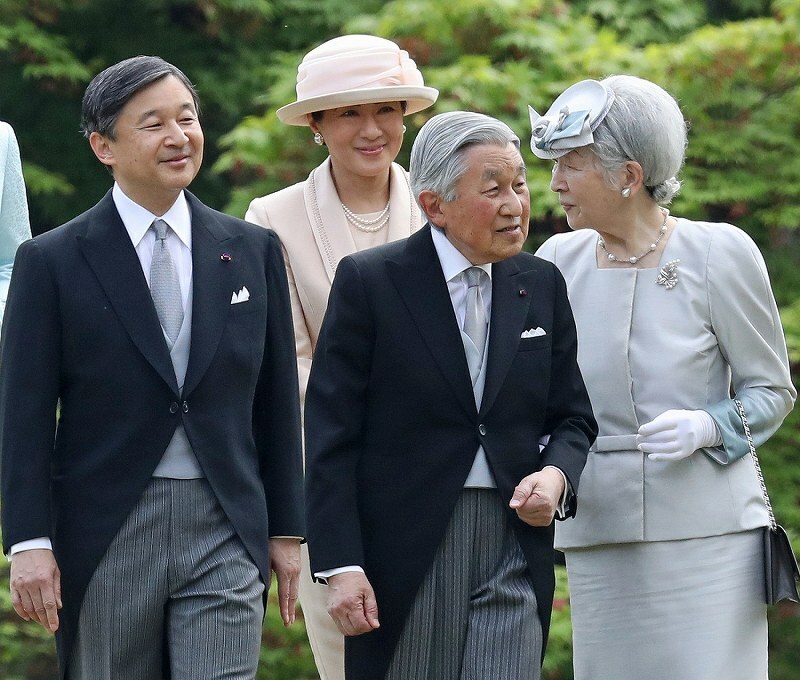 According to the Imperial Household Agency, the Anglo-Arabian breed was born at the Imperial Stock Farm in Tochigi Prefecture. 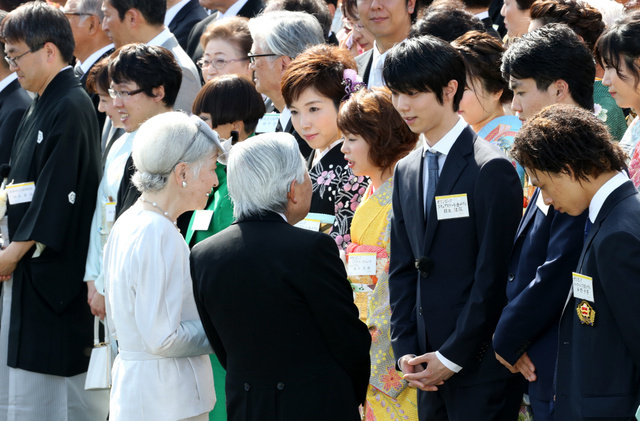 Kusashin-go will be bestowed “shinme” sacred status as early as June at Ise Jingu shrine, officials said. 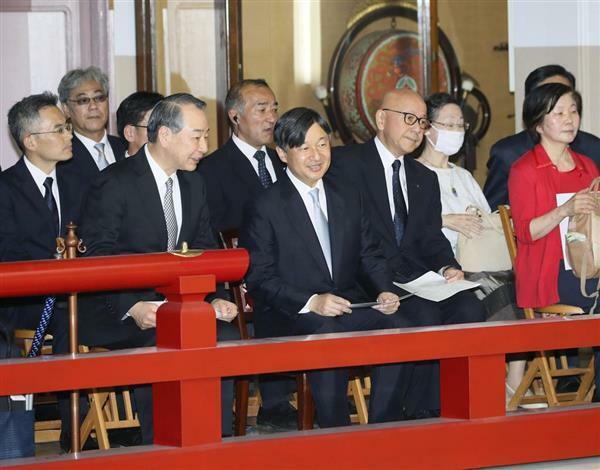 Ise Jingu is regarded as the home of the ancestral gods of Japan’s imperial family. 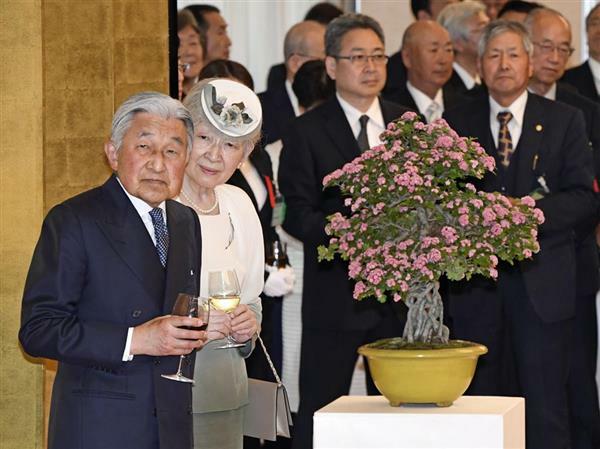 On 20th April, HM Emperor Akihito and HM Empress attended the Concert of the Gagaku performed by Imperial Household Agency Music Department took place at the Music Hall of Imperial Household Agency inside Imperial Palace. 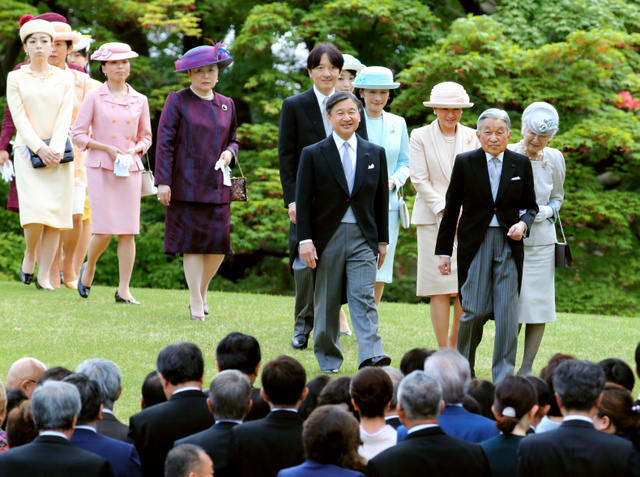 On 22nd April, HIH Crown Prince Naruhito also attended the Gagaku Concert at the same place. 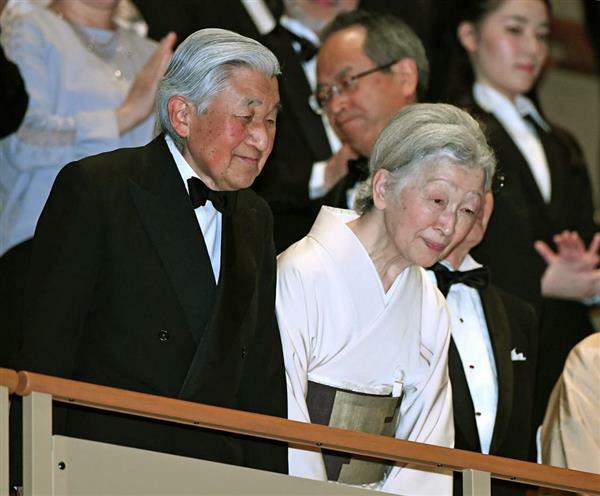 On 18th April, HM Emperor Akihito and HM Empress Michiko attended the 34th Award Ceremony of Japan Prize took place in Tokyo.